Nothing compares to the joy of crossing a 100-mile finish line. Nothing. Leadville 2016, mile 92. I saw zombies lurking in the forest around Turquoise Lake. 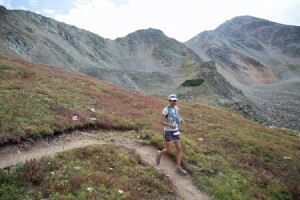 Confession time: this ultra runner does not have a sense of direction whatsoever. I have no idea how to use a compass, read a map, or interpret the growth of moss on trees. While I’m aware that that the sun rises in the East and sets in the West, I’m not sure how knowing where East or West is could help me get where I want to go. 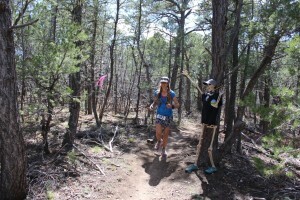 My only backcountry skill is following little pink flags in the hope they will lead to a finish line eventually. Once it’s dark, and once my energy reserves are depleted, I realize how vulnerable this makes me, how much trust I place in people I don’t really know. What if the person in charge of marking the course turned out to be some crazed sociopath underneath his pleasant exterior? What if he takes sadistic pleasure in directing a long line of unsuspecting, mushy-brained fools into a crocodile-filled swamp or a gravel pit where an axe murderer lies waiting? What if the flags lead us to a circle in a corn field where aliens will abduct us for purposes too harrowing to contemplate? Effective deterrents for zombies, vampires, axe murderers and the like. I have learned that paranoid delusions of this type usually come from low blood sugar. Nightmare scenarios running through my head mean nothing more than that my body needs calories sooner rather than later, but the first time it happened, I made the mistake of sharing the axe murderer fantasy with my husband who was pacing me at the time. He seemed a little freaked out at that point. Now he knows that something as simple as a grilled cheese sandwich is an effective weapon against crazed serial killers, packs of bears, vampires, or any other threat I see lurking in the bushes. Above the treeline is not a good place to answer the call of nature. Plan ahead! 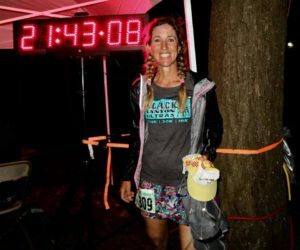 This is something I didn’t realize until I found myself deep in the pain cave and deep in my first 100 mile race simultaneously. No one told me before then, so I’m telling you now: if you have to go use the port-a-shrub, don’t wait until your quads have quit working altogether. Planning ahead for potty breaks means so much more than just carrying toilet paper and trying to avoid populated areas. It’s best to hunker down in a place where you can pull yourself back into an upright position using low-hanging branches, not next to a cholla cactus or a rusty barbed-wire fence. Having to ask your pacer to help you get back up from performing bodily functions may not be the most embarrassing thing you have ever done, but it definitely ranks in the top five. I have since learned to pee standing up, a skill men take for granted since age two – lucky devils. Women have to learn it later in life. 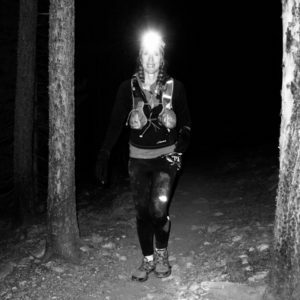 This should be part of every female ultra runner’s training regime, ideally before she starts her first 100. The guy on the right is not a common body type among ultra runners. 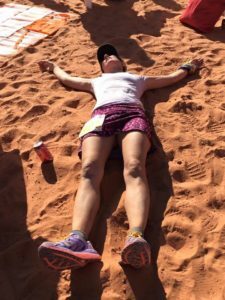 A friend looking to shed a few pounds recently asked me if running 100 miles is a good weight loss strategy. My answer was an emphatic “No way!” When training for a 100, I burn a lot of calories, but I also get so hungry that I consume them right back. 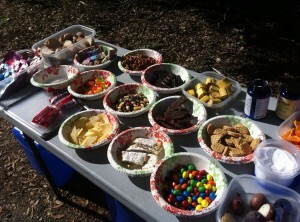 Ultra training is not a license to eat all the junk I want, either. It’s true that the furnace will burn anything if it’s hot enough, but it still burns some fuels a lot cleaner than others, so I try to make healthier choices than a bag of Twizzlers, at least most of the time. Finishing a 100 miler has many rewards. Just be aware that weight loss is not one of them. Even the actual race won’t make you magically lighter. 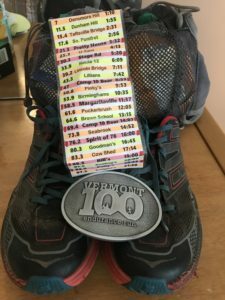 The hardest thing about running my first 100 was stepping on the scale two days after crossing the finish line and realizing I had gained six pounds instead of losing a couple. 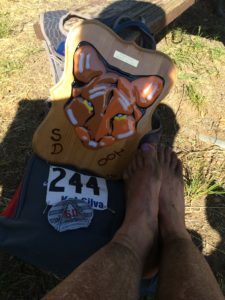 This shocking experience sent me from a post-race state of bliss into a post-race funk. Panicked, I called my trusted mentor Allen, who explained that this is mostly water retention and the body’s way of repairing muscle damage. Fifteen 100-mile races later, I know it’s not real weight gain, and I know it will be gone again by Thursday of the post-race week, but seeing that number still seems so damn unfair after running all day and all night. All you want to do for about a week after finishing. 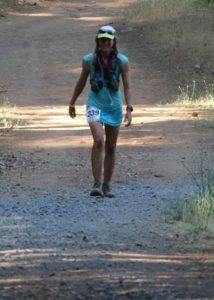 It’s normal to feel run down after running an ultra, but until you’ve finished a 100 miler, you don’t know the true meaning of tired. Your body wants to rest, but your exhausted muscles keep twitching, plus you’re chafed in too many unmentionable places to find a comfortable sleeping position. Your brain feels like a bowl of overcooked spaghetti, which makes coherent thought seem like a superhuman effort, and you realize that simple things like taking a shower require a lot more planning than you ever thought they could. Even after the first day or two, the fatigue lingers. I expected to feel exhausted after my first 100, but I also expected to be more or less back to my normal energy level after a good night’s rest. Not so. 100s disrupt your sleep cycle worse than a bad case of jet lag. A week after finishing, I usually still feel slug-like. Because I work as a horse trainer, active recovery is a necessity rather than a choice for me. I’m usually back at the barn and on a horse or two by Tuesday, back in the saddle all day by Wednesday. But once I get off my last horse, I collapse in a heap for the rest of the day. B-vitamins and magnesium help, only lots of extra sleep will get your energy levels back to normal. Still tempted to run your first 100? Go sign up. In spite of all the pain and suffering, it’s worth it! This entry was posted in Uncategorized on July 27, 2018 by silvakat. Hi, thought this was good enough to submit except for the ending which I thought was a bit abrupt. Punch it up and send it in. Thank you, Mary Ann. I might rewrite it and submit it somewhere.